I seriously can not get enough of these sandwiches. I've made a lot of French Dip Sandwiches this winter. They are so easy to prepare and make the perfect dinner for a busy weekend. 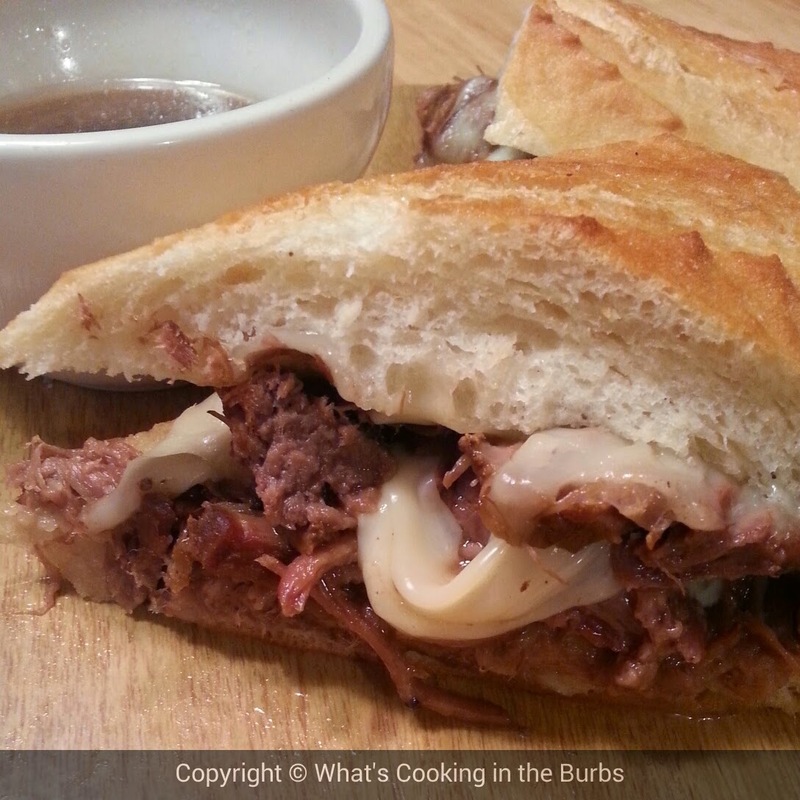 I decided to make these French Dip Sandwiches with cheese because, well, come on....cheese makes everything better! You have got to try them for yourself! Place roast in the bottom of your crock pot. Add remaining ingredients, except for the cheese. Cover and cook on low 8 hours. Shred meat and pile onto french bread. Top with a slice of swiss cheese and broil for 2 minutes or until melted. Serve with a side of juice for dipping. Enjoy! These look awesome! I am definitely making these today. Thanks for the recipe. Thank you, Karen! I hope you enjoy them!